When the calendar says January and the thermometer says 10℉ what is a runner to do? Well, most of us sign up for an early spring race, which then motivates us to get out in the cold (or in the worst of circumstances grab a treadmill). Then, others of us decide to build and direct an early spring race. And while we’re at it, let’s use our passion for running to feed another passion – we make that race a benefit for some local arts organizations. 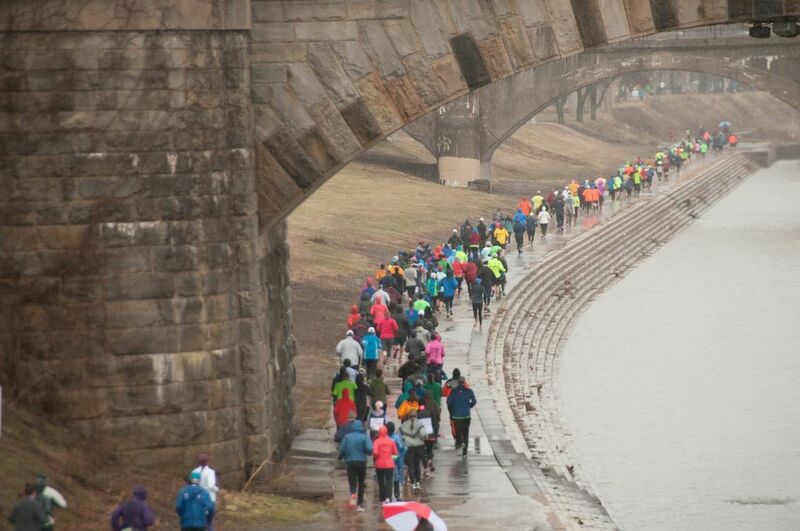 Let’s call it the Capital 10-Miler – a run for the arts. Perfecting a 10-mile course requires running it numerous times with other runners just to ensure we have it right. Through ice, snow and bone-chilling cold, that course becomes one of the distance training runs for you and many others. Running the 10-mile course through the winter with winds whipping down the Susquehanna River prepares us for our spring marathons. It becomes an annual ritual. Then suddenly, it’s five years later and you’re still directing that 10-mile race and raising funds for nonprofit arts organizations. So, on this frigid morning, I’m thinking of our upcoming fifth race and the number 5 appears as an arts image, the Figure 5 in Gold. And why not? 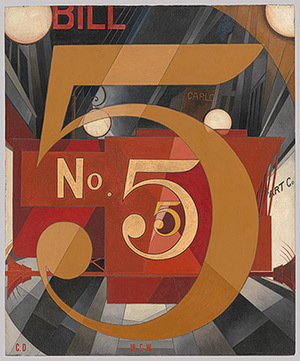 The artist Charles Demuth was a local guy from Lancaster County, Pennsylvania – just down the road. He made his mark and many friends in the exciting New York art world of the 1920’s. But back to 2015 Harrisburg and back to that 5th Annual Race. 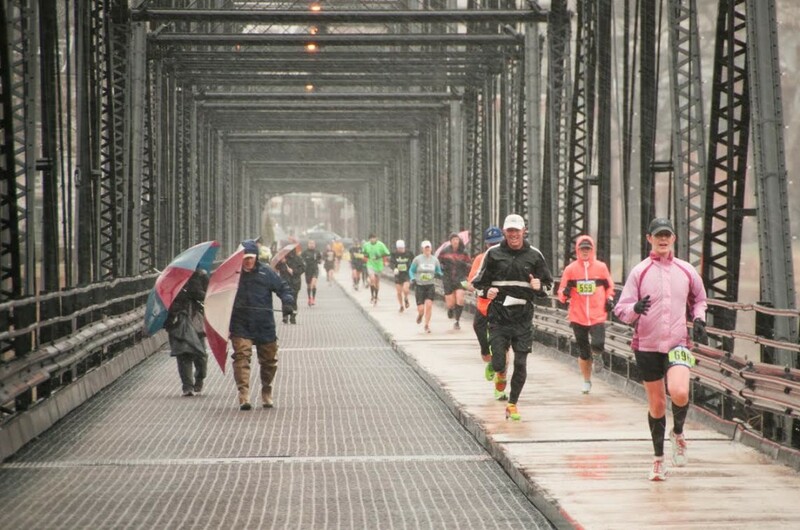 The Capital 10-miler – a run for the arts – has some talented and tough runners from the Northeast and across Pennsylvania, most returning every spring. We run it as a tune-up for Boston, as a challenge for runners moving up from the 10K distance, and we run and walk it to raise funds to support the talented arts groups that bring refreshing productions to us during our gray winter days and all year long. Capital 10-miler runners had to be tough to finish last year’s race when sheets of cold rain and high winds drove them to the finish line. So this year, we’re hoping for a break on Sunday, March 29, with March going out like a lamb, mild temperatures and sunshine. It could happen. If not, we will be there for you at the finish with hot coffee, broth, lots of healthy goodies and good company. Get motivated. 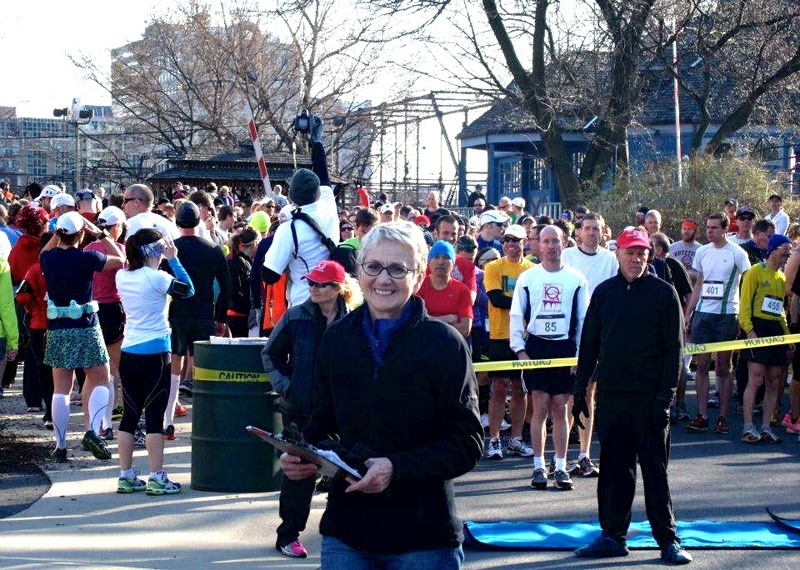 Come join us for a 10-mile early spring race with a mostly flat course free of traffic, interesting scenery, dedicated runners and service at our water stops by arts volunteers. With that vision, Williams could have been with me on one of my early morning training runs through Riverfront Park along the Susquehanna. What inspires you? If it’s a spring 10-miler, you can find us on Active.com. Shelly, we love our runners as well. Glad to have you on board – and thanks for the reblog. Oh, yes. In fact this morning I ran across one of the bridges on the 10-Miler course – it was 9 degrees. Beautifully cold sound of ice moving with the water below – and the wind above, But dressed properly, I was in my personal cocoon. A great race organizer and race! Thank you. There was mostly ultra trail talk at Pincho Park today. Your name was mentioned. Agree that is a great tie-in, although finisher medals are ordered and ready for shipping. Keep the ideas coming. I know it’s probably too late, but if the finisher medals this year could have reflected the Figure 5 in Gold somehow, that would have been amazing.